Made of rare avodire wood and glass. Dimensions (height x diameter): 18.5 x 8 cm. 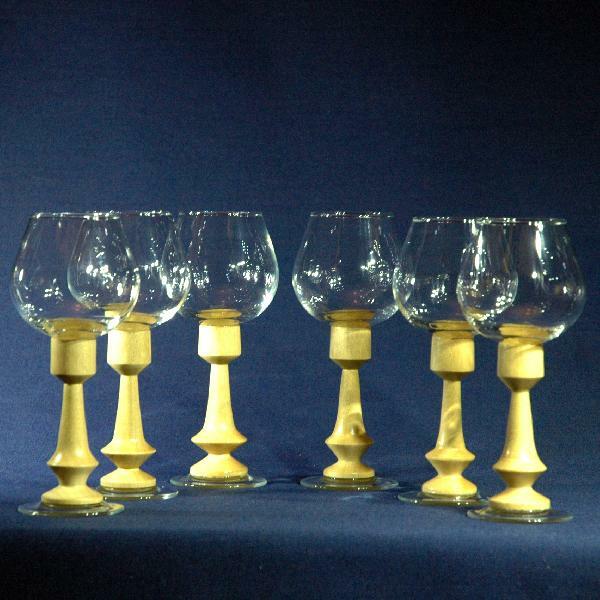 A set of 6 handmade wineglasses. The bases are carved from glistening bright beige African avodire wood. The 180 ml bowl is made of glass. The glasses will be a great sight on a festive table and a wonderful gift for a wedding or an anniversary party. *Tray not included.